Darrell Wehlmann is a partner in Brand Tackle, LLC – a Houston-based business- to-business marketing and advertising firm providing strategic marketing and communications to companies. Prior to Brand Tackle, he was a project manager with a large IT consultancy in Houston and also worked in the oil and gas sector in various financial roles. When he is not trying to meet client imposed deadlines, he enjoys playing guitar, spending time with his two daughters – Hannah and Megan, and listening to music. He is married to Carol and they will celebrate 20 years in 2015 and rumor has it that she is an extremely patient woman. Darrell is classically trained in music as a violinist, but picked up a guitar in high school and never looked back. His major musical influences include KISS, Aerosmith, ZZ Top, Iron Maiden, Megadeth, Metallica, Savatage, Led Zeppelin and the Scorpions. Darrell also enjoys classical music, big band and blues. His current favorites on the classical scene include Yo Yo Ma and John Williams. Darrell has also transitioned to modern metal including favorites like Machine Head, Trivium, The Sword, Opeth, Parkway Drive and Human Abstract to name just a few. In addition to being a guitarist in CRB, Darrell also enjoys Sunday mornings where he plays in a contemporary Christian praise band at St. John Lutheran Church in Cypress, Texas. 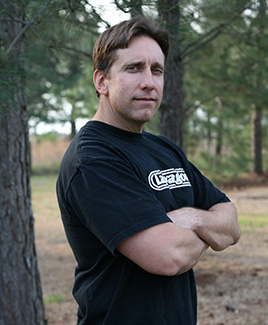 Darrell graduated from Texas A&M University in 1988 with a Bachelor’s degree in Accounting.